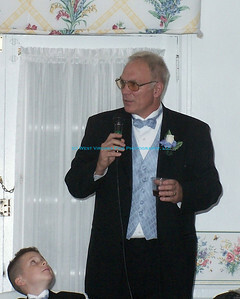 The Photographer as Father of the Bride. Thanks to my son, David. 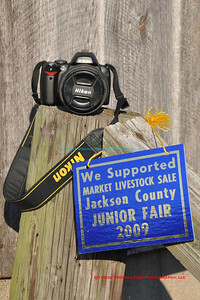 West Virginia Fine Photography, LLC, was proud to become a first time buyer/supporter of the Jackson County Junior Fair in 2009. I continued this support in 2010, 2011 and 2012. 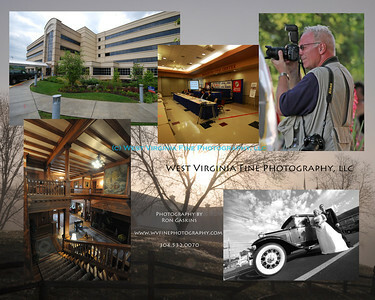 Professional Photographers of West Virginia is an affiliate of the Professional Photographers of America. I was accepted into the WV organization in 2010. After being a Member of the Communications Workers of America for over 30 years, serving as a Union Representative for 24 years, and a Local President for 12 years, I retired. I then became a Lifetime Member of the Retired Members Council of the CWA. 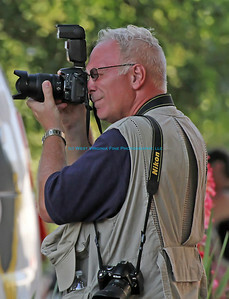 Ron, photographing the festivities of the Ripley Independence Day celebration. Thanks to my friend, Amanda, for the photo! The Charleston Camera Club was founded in 1956, and remains one of the most popular clubs in the state. I joined in 2009, became Secretary in 2010, and was elected as Club President in 2011. I was recently re-elected to my second term in 2012. 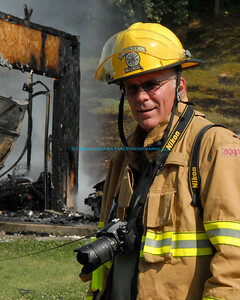 I am a contributing photographer for Fire Rescue TV. Fire Rescue TV is a private television network for First Responders. Fire Rescue TV provides viewers with an extensive library of training videos, news broadcasts, new tools, as well as in-station messages. 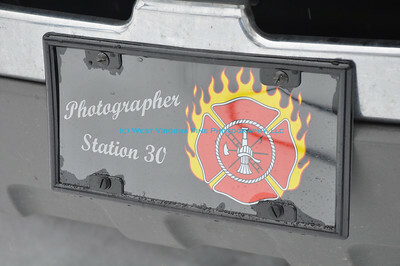 Fire scene photography, on location with Ripley Station 30. Thanks to my friend, Larry, for this photo! International Fire Photographers Association, working fires for more than 45 years! I am a Professional Member, and the only one in West Virginia. 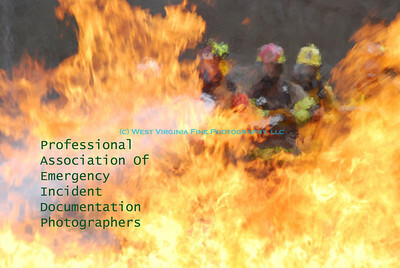 "Professional Association Of Emergency Incident Documentation Photographers(R)" is a select group representing the best in fire photography and fire video. Just a little addition to my truck, and followed up with lights and siren. I am the photographer for the Ripley Volunteer Fire Department, Station 30. 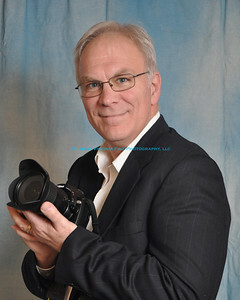 Today, Professional Photographers of America (PPA) is the world’s largest nonprofit association for professional photographers, with 24,000 members in 54 countries. This association seeks to increase its members’ business savvy as well as broaden their creative scope, advancing careers by providing all the tools for success...as they have since 1869. I became a Member in 2012. 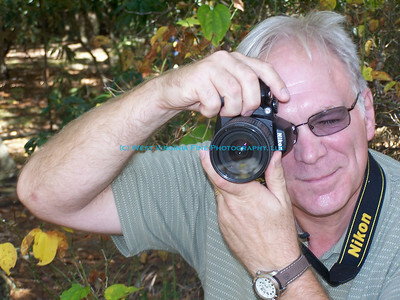 "Nature Photographer at Work," courtesy of Mary Horne. Publicity photo, with a little help from Susan! 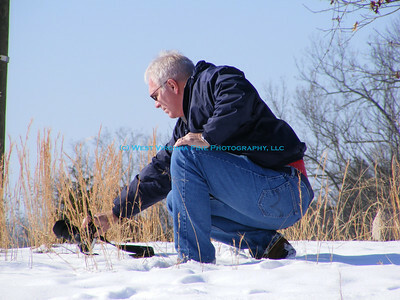 I am a Member of the Jackson County "Tripods" Photo Club. 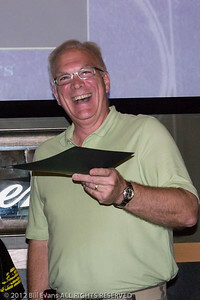 In the summer of 2011, I was elected to serve as the Club's first Treasurer. The Chamber of Commerce of the Mid-Ohio Valley has as its core focus the growth and success of your business and the local community. I joined the Parkersburg based organization in the summer of 2012. 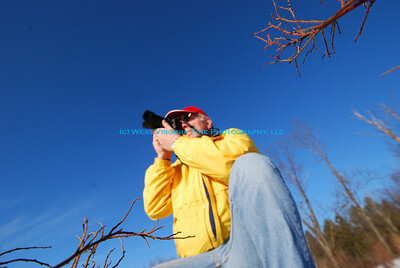 Weekend nature photography at Cooper's Rock State Forest. Thanks to my newest "assistant," Bailee. Just an experiment, taking two photographs at once! The Arts Council of Kanawha Valley (ACKV) was formed in the fall of 2009 to support, promote, and advocate for artists and arts agencies from Charleston, West Virginia to Huntington to Beckley and everywhere in between. I became a Member in 2011. 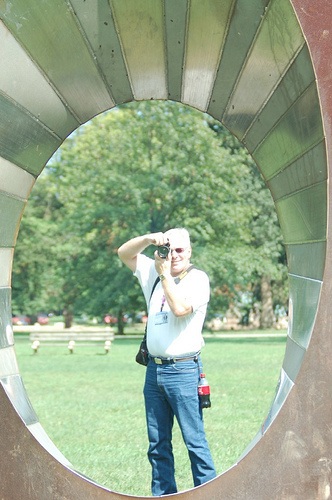 Photo through the "Earth Portal" in Ritter Park, Huntington, WV. Thanks to my daughter, Leann. Artists from West Virginia devoting their efforts to the betterment of aesthetic values in their communities, infuencing the world around them. 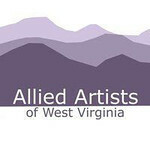 I was accepted into the Allied Artists in November of 2011. 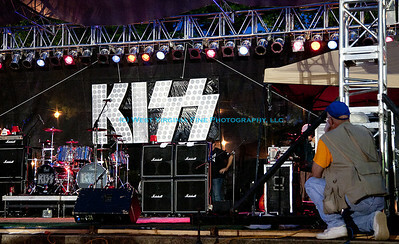 Ron preparing for the Riverfest "Dressed To Kill" concert, a KISS tribute band. Thanks to my friend, Amanda, for the photo!